Overlooking an idyllic beach on the Gulf of Thailand and surrounded by lush greenery, Dusit Thani Hua Hin provides the ultimate resort experience in a historic destination steeped in Thai royal heritage. Dusit Thani Hua Hin combines classic Thai design with modern amenities, offering guests a serene and lavish getaway that echoes Dusit Thani Hua Hin’s past as a summer retreat for the Thai royal family. In addition to the natural beauty that surrounds it, the Dusit Thani Hua Hin hotel’s spacious grounds comprise an ornamental lake, lily pond, tropical gardens, two magnificent swimming pools and much more. 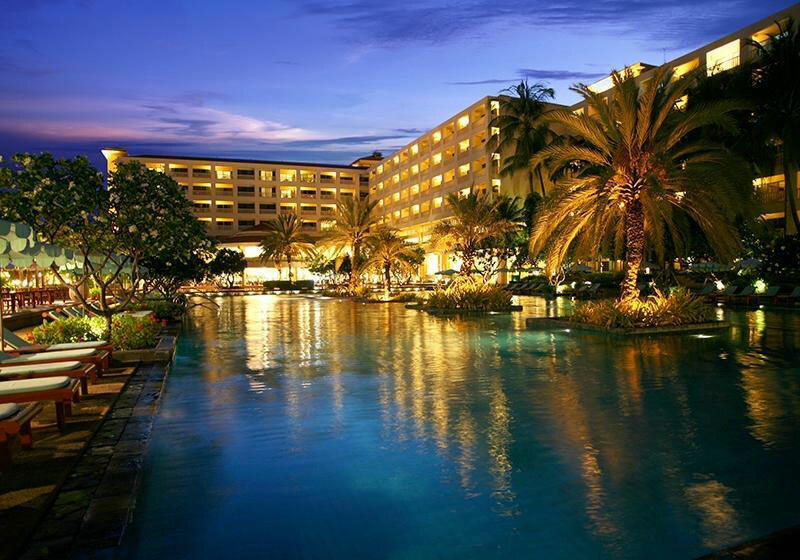 This Dusit Thani Hua Hin self-contained oasis also provides a range of recreational facilities, including water-sports venues, tennis and squash courts, a fitness centre and sports pavilion. If guests wish to wind down, they have a diverse choice of dining and entertainment options or the tranquil and serene Devarana Spa to rejuvenate. Short Description: Overlooking an idyllic beach on the Gulf of Thailand and surrounded by lush greenery, Dusit Thani Hua Hin provides the ultimate resort experience in a historic destination steeped in Thai royal heritage.